Hi all you sweet fans! Carisa back with you today for my last project this month. 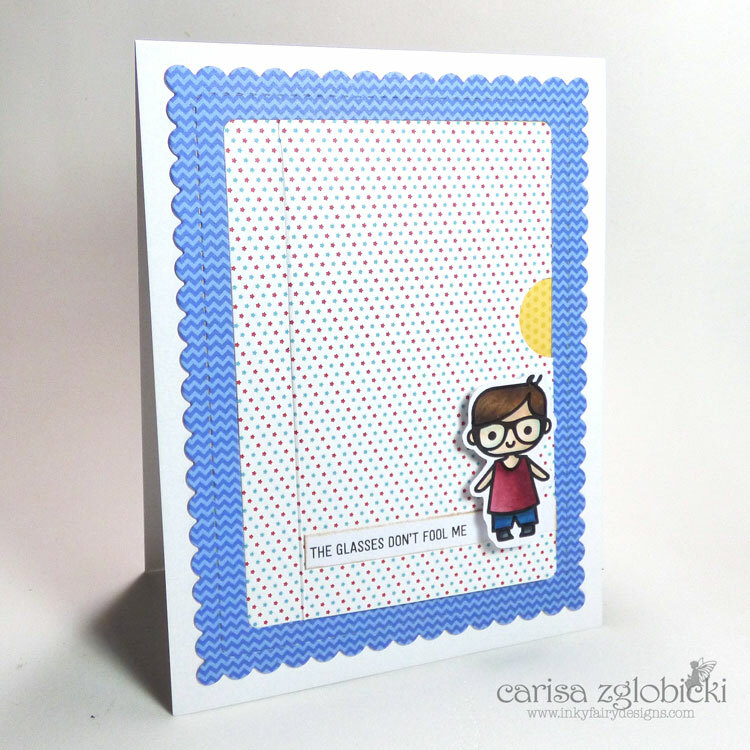 I had an absolute blast hanging out in the Sweet Stamp Shop with all of you the past couple weeks and I had a few different ideas for my last post and honestly this actually came out of left field as I scratched idea after idea off the drawing board! I hope you enjoy it as much as I had fun creating it for you. I fell in love with the Super Boy set this past release and really wanted to color it up for a Father's Day card for my hubby. 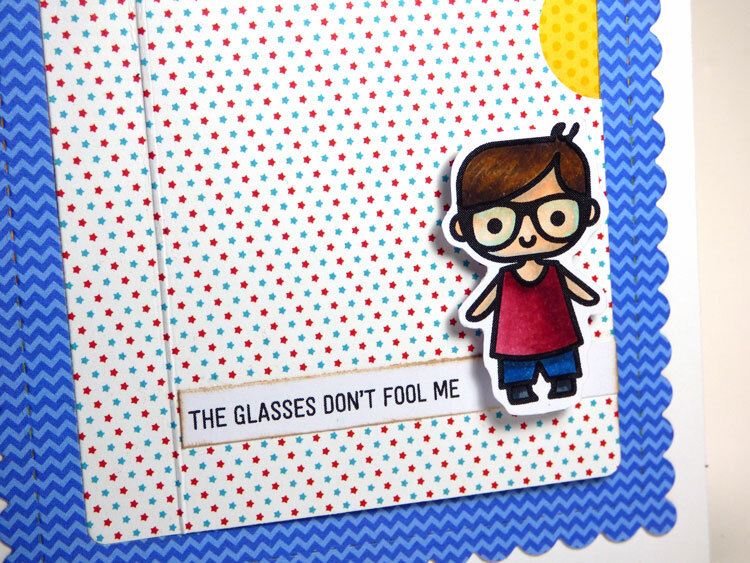 He wears glasses so the sentiment "The glasses don't fool me…" just fit for him! 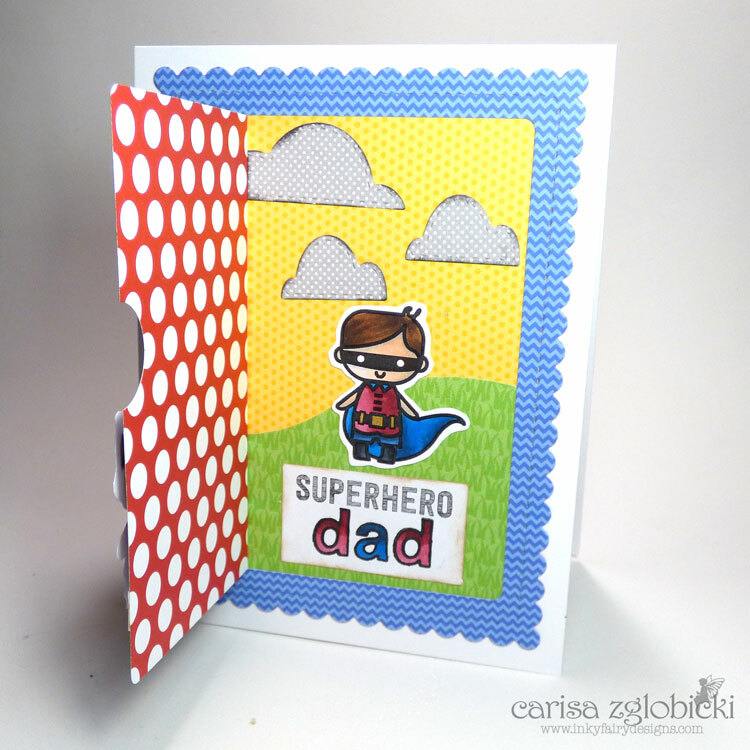 I also wanted the card to be somewhat interactive so I came up with an idea of creative a flap on the front so when you open it you see the Super Boy and sentiment! I love how it turned out and here is how I did it. First, I started by coloring my images. 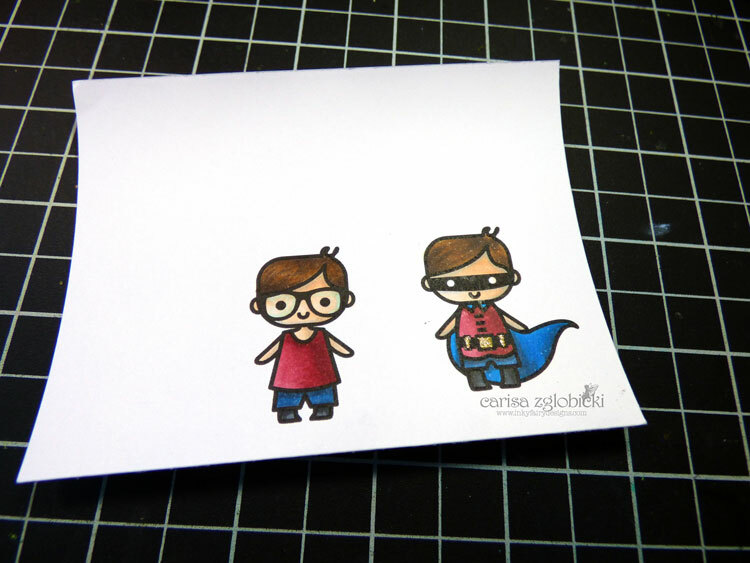 I knew I was going to use both of them, the alter ego for the front and then Super Boy inside the flap. I wanted them to be colored with the same colors so what I used for the one, I also used for the other. It keeps it consistent, plus it's just easier to not have to think of different color combinations for both images. 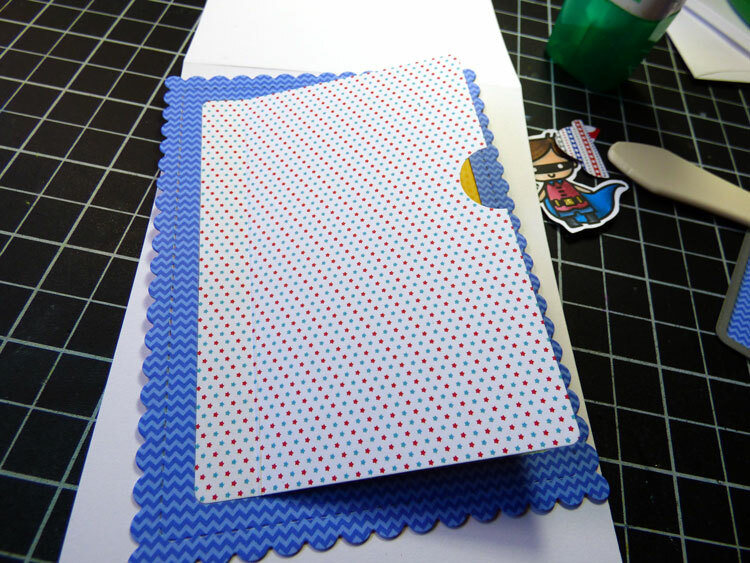 Next, I started to die cut my card design. 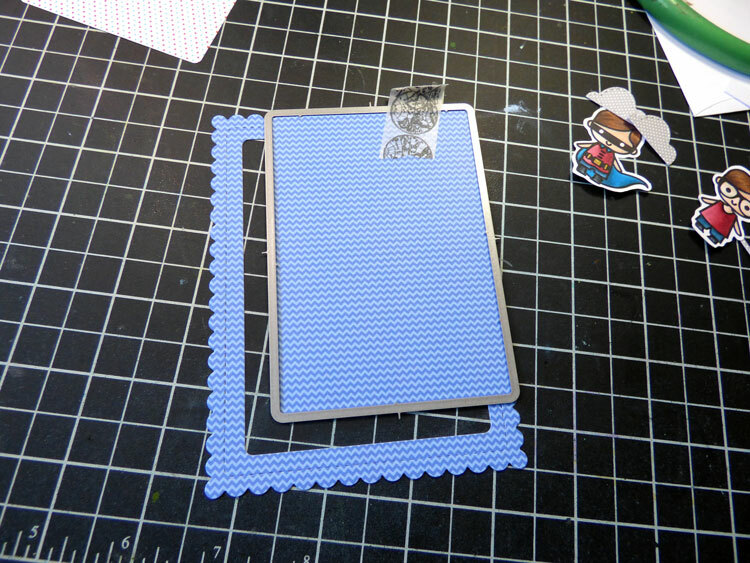 I love nesting coordinating dies and this is when I decided to create the flap. 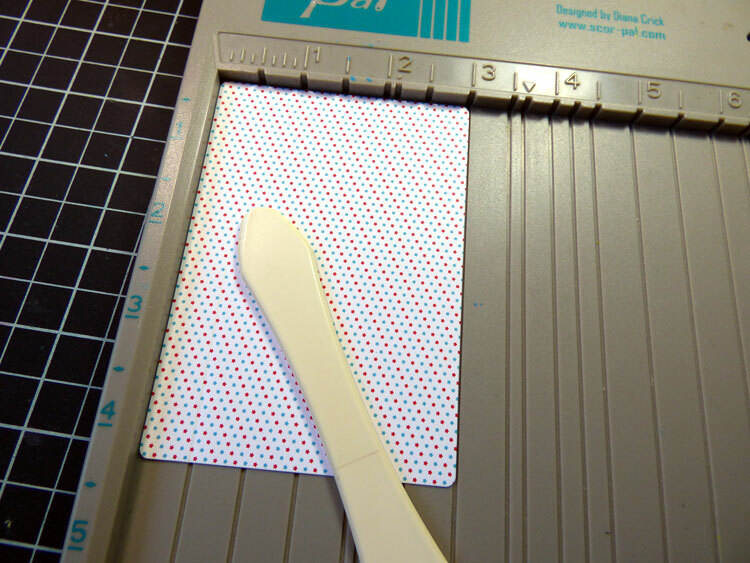 I cut the negative and then again with a coordinating piece of paper. I planned to nest it inside after I created the inside scene. I took this piece and scored it at the first score line of my Scor-pal which is at 1/2". Then I took some more coordinating papers and created my inside scene behind the main panel. 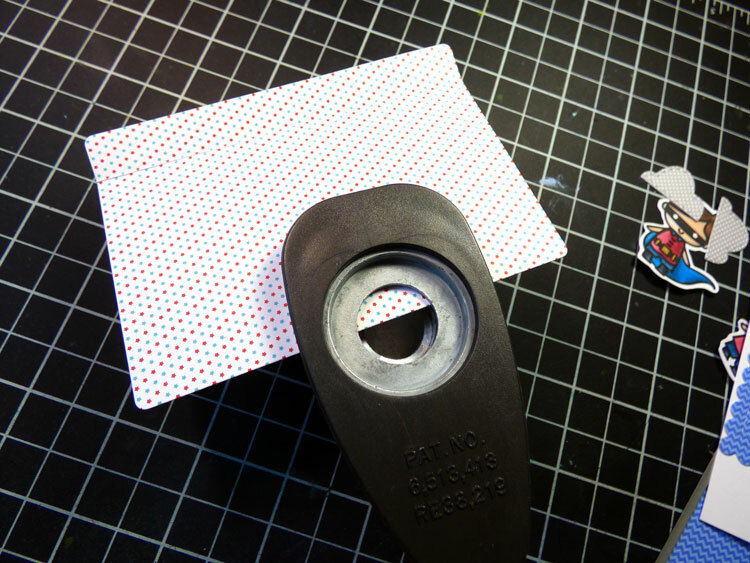 I cut a notch using a 3/4" circle punch centering it and only putting the paper halfway in to create the notch. This make sit easier to open the flap, plus it lets the recipient know there is something to open - kind of like the lift and flap books! Finally, I just added adhesive up to the score line and adhered the flap to the main panel. Next it was time to add my sentiments and images to create the card! Here is a close up of the flap closed. I just adore this little guy and that sentiment! I kept the front simple because the POW! is when you open the flap. Here is a close up of the inside. It just makes me smile when I see it every time! This was one of those crazy ideas, I wasn't sure if it would work or if it was even a good idea! LOL I am glad I followed through to the end. 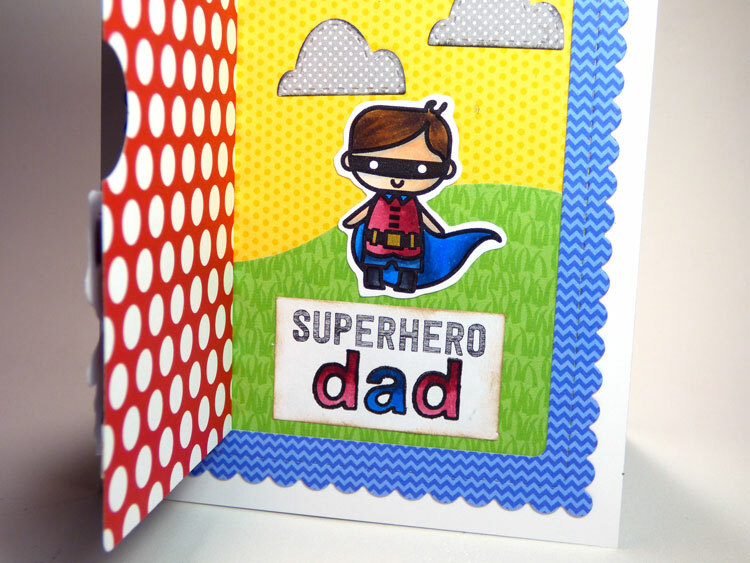 I created the custom sentiment by pairing the Superhero part from the set and spelled out dad with the Outline Lower Alpha set. This is one of my all time go to sets. You can customize anything you want to say! I colored the letters to match my image, again keeping the same colors to keep it all cohesive. So, that's it! Pretty simple, when all is said and done! I hope you are inspired to think of different ways to create interactive cards with your favorite Sweet Stamp Shop stamps! What a coyupke of adorable cards. I just love their stamps, and I even have like 6 of their sets! But darnit, I never find the time to use them. This inspires me to FIND the time!